No More Awkward Ice Breakers. Welcome to the next-generation social gaming platform for teams and groups. Need a fresh way to break the ice or get a group to bond? IRL Trivia brings people together in real life to compete and create real connections—all while capturing the highlights in hilarious photos and videos. 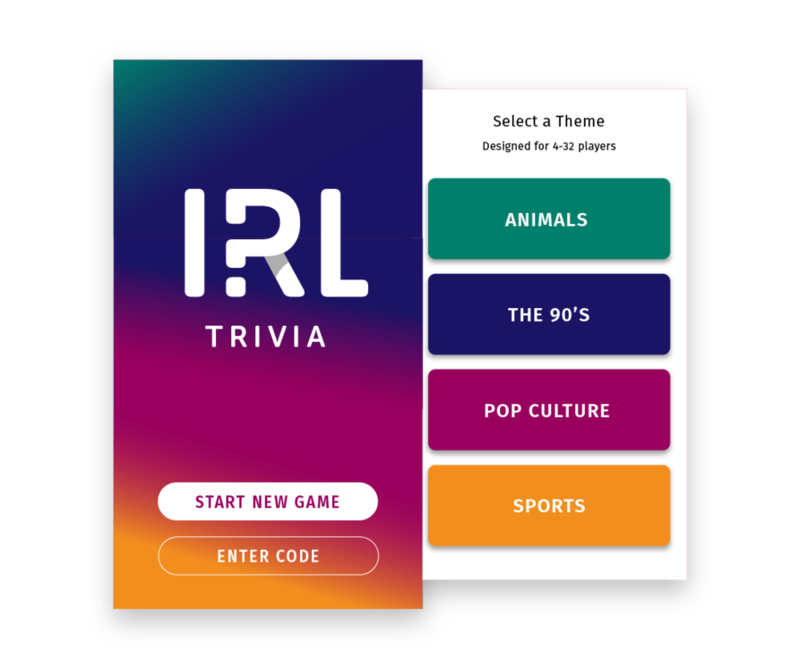 IRL Trivia is now in the App Store and Google Play as a free download! Customized games are also available for large events. Gather a group to play. Share your invite code to start the game, find your team, and get ready to conquer. Complete mental and physical challenges that test your team's ability to problem solve and work together. Oh, it happened. Videos and photos are saved so you can share or post later to relive the greatest moments.